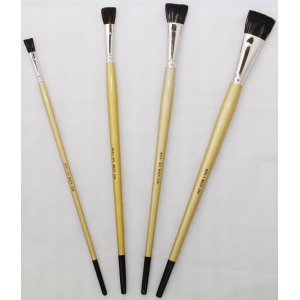 * One of the most important brushes for the professional sign painter. * This soft hair fitch is constructed with premium materials to provide excellent handling qualities. * Used in lettering paints for layout, outlining, pictorial & tight work.